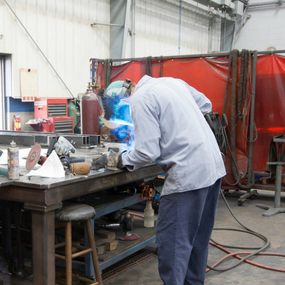 Peterson’s Welding and Machine has been a full-service manufacturing facility providing cutting, fabrication, welding, machining, and more since 1981. We can convert your prints or an idea into a fully completed job! We provide the material, machines, fabrication, and finishing to bring it to a completed project, all with attention to quality and competitive pricing. Your customer satisfaction is our main concern! 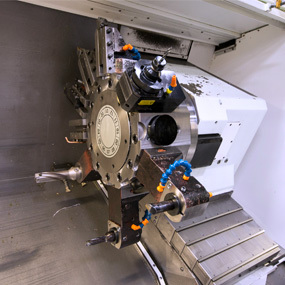 Our machining services produce quality parts efficiently. Our experienced fabricators work with aluminum, steel, and stainless steel. With full capabilities in welding, shearing, and iron working, we can fabricate to our clients’ exact specifications. 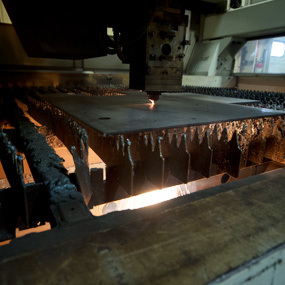 We use cutting equipment for precision cuts on a variety of metals and thicknesses. Peterson’s Welding has been a great partner and supplier of ours for the last 5 years. They have provided us with exceptional service by being on time with their deliveries averaging right around 98% over the last 2 years. They have also been very prompt in their response to fix any defects and have generally gotten parts back to us the next day. Because of the constant evolution of our product line we are constantly making changes and late additions to jobs. Our engineering group is consistently creating new parts. Because of this we ask for quick turns on parts on a continual basis with our vendors and Peterson’s Welding is one of our top go to vendors when we are looking for those parts in quick fashion. Peterson’s Welding is easy to work with, quick to respond, and not afraid to take on the work other machine shops don’t want to touch. I have worked with Peterson Welding and Machine since 2007. I have also worked with many other Machine shops in the Green Bay/Appleton area since 2007. Peterson’s customer service and quality are second to none. The appearance/quality of the parts is exceptional. Matt and Tim are very responsive and address any issue in a timely manner. It’s been a pleasure seeing the growth of Peterson’s Welding and Machine in the past 5 years! Keep up the GREAT work Peterson team! Peterson’s Welding & Machine Co. has always been a “go to” partner of Brillion Iron Works and the Peterson’s team has been very helpful with advice including ideas to improve the design and manufacturing on many of our projects. Their ability to Reverse Engineer and produce obsolete parts has helped us many times. 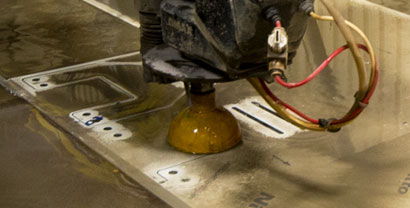 They have work hard to help us reduce costs on fabrications and machined parts resulting in Cost Savings on our projects. They can do all of this for us while meeting our tight time lines and quality requirements. Peterson’s Welding & Machine is one of the premier precision manufactured components’ suppliers to Paper Converting. Peterson team works very closely with our engineering staff as well as our buyers to match the expectations and execute to them. The team at Peterson is laser-focused on customer service be it a quick turnaround of quotes, management of communication when issues arise and intense collaboration when new ideas and/or challenges present themselves. When complex welding or outside-the box-thinking is needed in repairing or producing challenging parts, Peterson Welding and Machine is a one stop shop for my organization’s needs. The team is engaged and strive daily in doing the work right, the first time at a fair price. They have proven time and again that they work well in crunch time to satisfy the need of our customers and PCMC is grateful for having an outstanding supplier like Peterson Welding.